Spartan Mambo Performing Tonight At Salsa Loca Live! 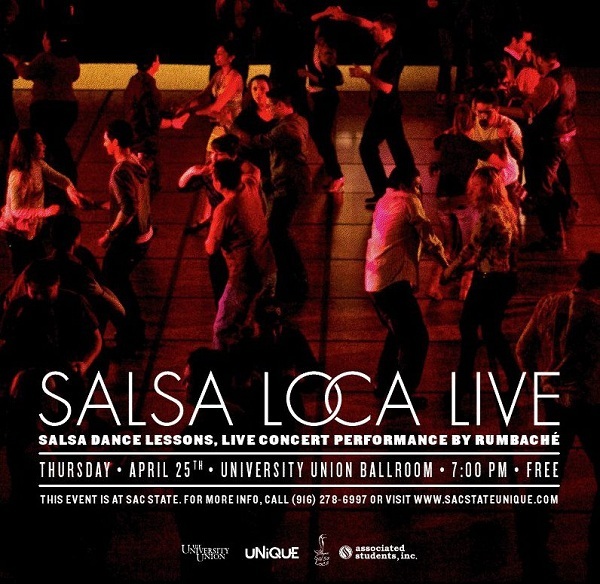 Spartan Mambo is debuting our new routine tonight at Salsa Loca Live, held at the University Union Ballroom at Sacramento State University. We will be debuting our brand new routine tonight which we will be performing at the 6th annual College Salsa Congress! The event starts at 7pm with some salsa lessons, and performances will begin at 9:30pm. The event is completely free to attend. You can find more details about the event on Facebook.